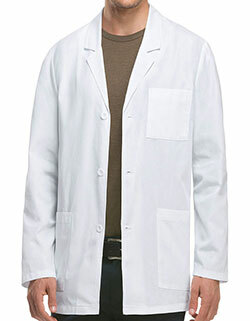 A men specialized White counter coat from Red Kap Uniforms in a one piece lined notched lapel collar, long set-in sleeves and three buttons at the front for easy closure. 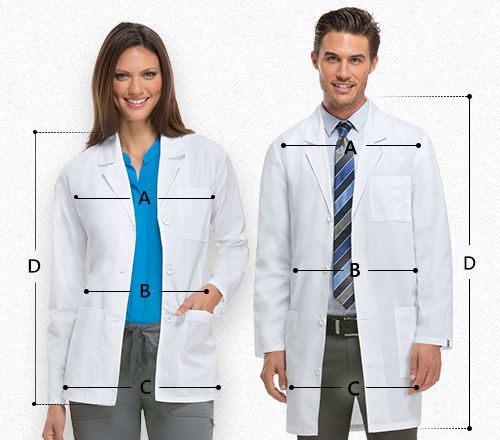 It features a square hemmed front and two lower outside pockets which are large enough for you to store in your hand tools and other items. 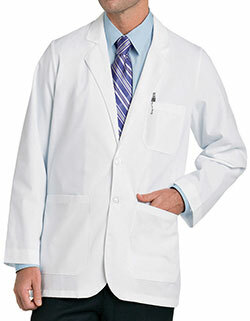 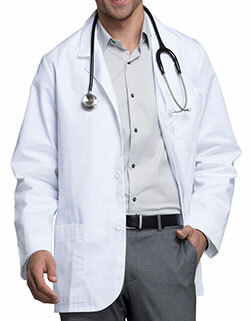 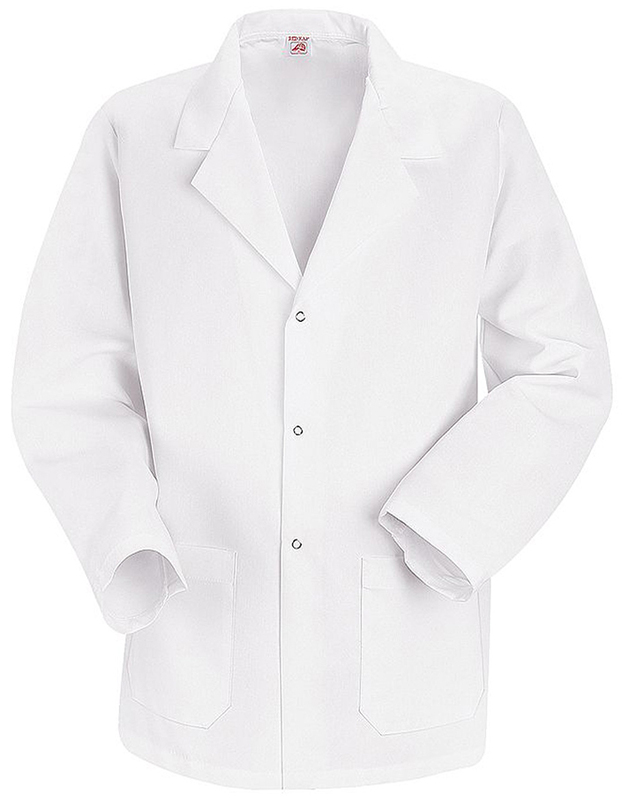 The length of this short counter coat is 30 inches and it's made of poly-combed cotton fabric.